Prism IT Solutions Pvt Ltd can offer various ERP solutions for the clients as per their needs and budgets. Account Payable software is also known as Invoice Processing System . To complete the diverse demands and necessities of our privileged consumers, we are occupied in rendering Tally ERP 9 Rental Service . Our experts complete this service in varied terms that meet on client’s demand. Available at nominal cost, this service can also be modified as per the customer’s demand. 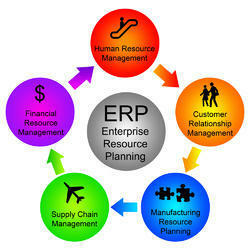 We are involved in offering development services for Manufacturing ERP Software . ERP systems track business resources—cash, raw materials, production capacity—and the status of business commitments covering orders, purchase orders and payroll.